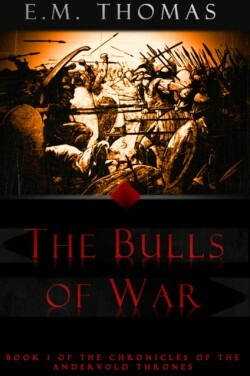 The Bulls of War provides a sweeping tale of an empire on the precipice of war with its hated rival, their fragile truce teetering on the edge of a sword. Tens of thousands of troops stand at the ready, only an order away from battles on a scale unseen in centuries. Some factions within the Imperial capital fight to keep the peace, while others shirk no scheme, murder, or terror in their quest to trigger war – a war some fear could rend their empire apart. It is in the midst of this dangerous game of brinksmanship that Generals Tyghus and Kyrus soon find themselves, pulled towards opposite sides of the growing rift. Against a backdrop of ruthless politics and the drumbeat of war, their friendship is put to the ultimate test as they struggle to save their country, themselves, and those they love – all while battling their own tragic past.